News: Randall and Aubin Anglo French Brasserie now open 7 days a week! Randall and Aubin Anglo French Brasserie now open 7 days a week! There’s no denying it – Manchester loves seafood! And to keep up with this demand, acclaimed Anglo-French brasserie Randall & Aubin is now throwing open its doors 7 days a week, meaning guests can dine out on oysters, lobster and Champagne whenever their heart’s desire, from Monday through to Sunday. Co-founders, renowned Chef Ed Baines and businessman Jamie Poulton, are delighted that Manchester has embraced their restaurant and seems to enjoy the fresh, delicious food served. Mancunians can see Ed in action during his demo at 1pm on 29th September at the Manchester Food and Drink Festival in Albert Square where he will also do a book signing. Randall & Aubin has been a Soho staple for over twenty years now, when the restaurant first began delighting customers in August 1996. During this time they’ve garnered staunch fans thanks to their reputation of serving the freshest seafood, and mouthwatering and succulent rotisserie meats, with premium ingredients from carefully chosen and local suppliers where possible. 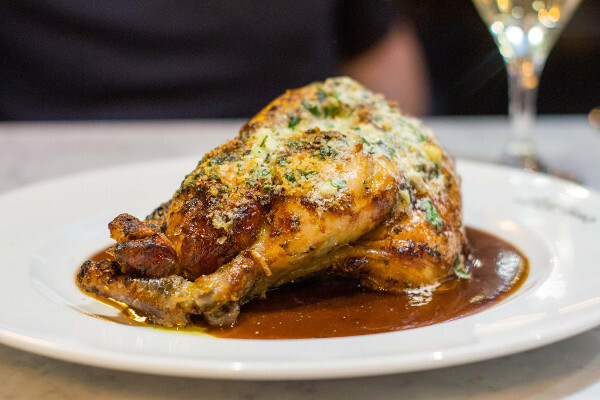 Since opening on Bridge Street in Spinningfields earlier this year, they’ve discovered Manchester shares the same passion for their particular ethos of joie de vivre. Whether they’re enjoying their famous roast chicken or ordering a tin of caviar, the general feeling from guests seems to be that dining beneath the giant disco ball makes for a fabulous meal out. 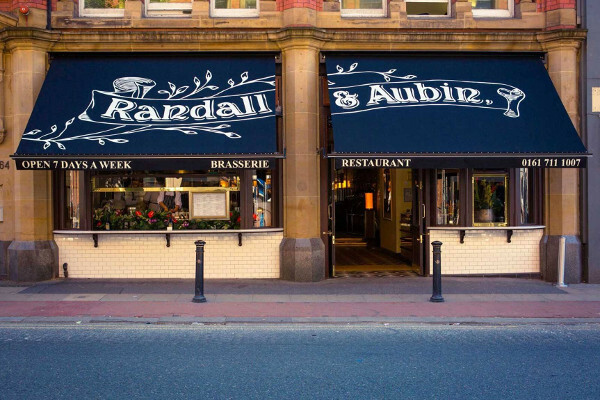 After so warm a welcome, Randall & Aubin are looking forward to serving up their unique brand of hospitality every day of the week. Operated and overseen by renowned chef Ed Baines, Randall & Aubin serves classical Anglo French cuisine with a focus on using only the finest sustainable sourced fish, meat and seasonal produce. If this is your business and would like to update the details drop us an email by clicking here!